Soo stoked!! 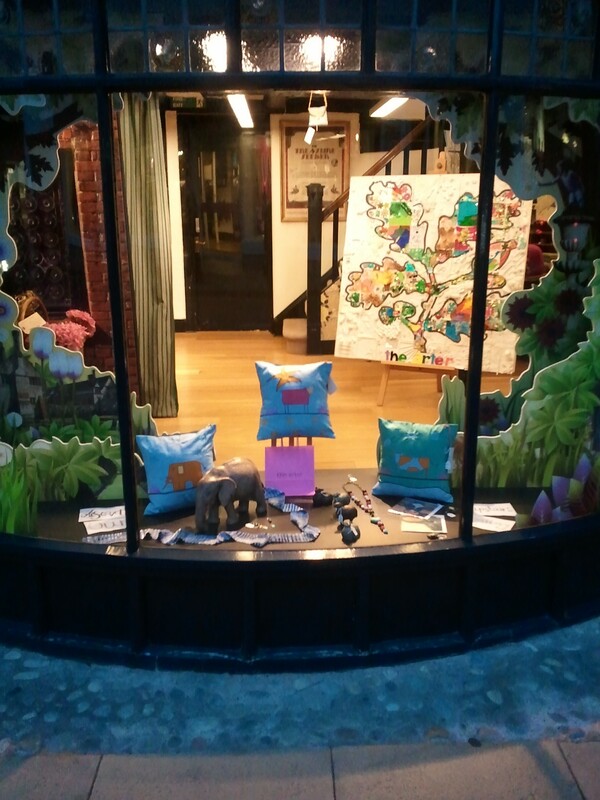 The cushions I finished last week and delivered to the store on Tuesday made it into the window display yesterday afternoon! *Happy dance*! The photos were taken with a mobile (cell) phone, so not fabulous quality, but hey, it’s all good for me! It’s not just clothes geting made around here! Nope, anything goes! 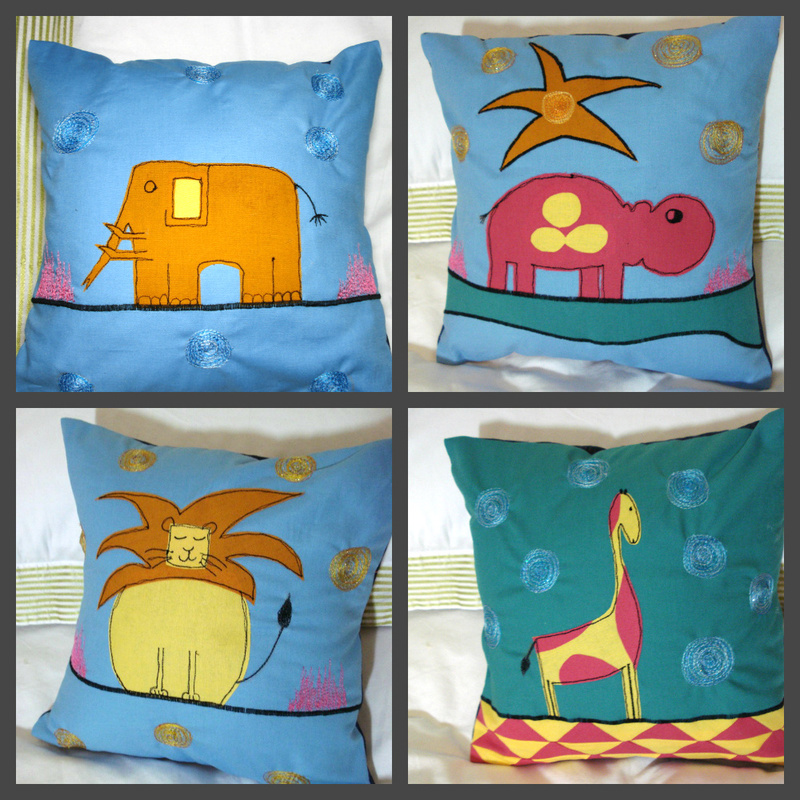 I have just finished some cushions that I started back in June! *blushing* Excuses – none really, I just lost focus and made other things instead! I thought I’d pop them on here so you can see the other stuff that gets made in this house. I made these for a shop in Stratford upon Avon. The Arter is a gallery stocking arts and crafts from 26 artists in the locality. 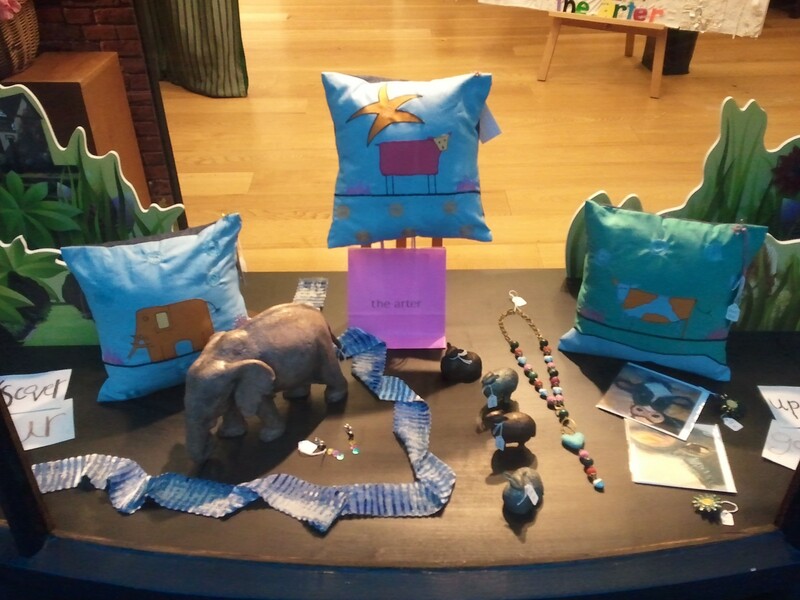 They have some fabulous stuff, and the goods range from handmade jewellery to glass, pottery, felted creations and ceramics. 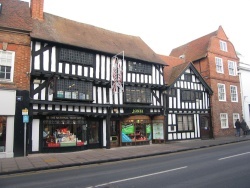 If you are ever visiting Stratford on Avon, make this little National Trust shop a place to visit! I don’t think there is another quite like it! In this tiny picture, it is the shop with the little red bits in the window! Soon there will be workshops and other fun activities run there, I am looking forward to them! Visit their Facebook page for more information. So, the cushions. I wanted to make some kiddie ones, and I just love the way children use colour. A child’s colouring in book is full of the most amazing colours, so this was my main draw. I also love the way they see things “flat”, so the designs are not 3D at all, but flat, like children draw. I chose four African animals, to reflect my roots, and I had just come back from a 3 week holiday in South Africa, so homesickness was still coursing through my veins! I figured I had better have some English animals too, especially as they were to be sold in a National Trust shop! The animals are all applique, the black outlines are free machine embroidery, I wanted it loose, so I didn’t use a satin stitch, which is what you usually use for applique. I wanted the lines to be within the shapes I had cut, so it looks like the colours have over-run. The giraffe cushion has a patchwork design of triangles on the bottom, not my most successful technique, but it looks good. The swirls are what you want them to be – suns, stars, clouds… And the grass is pink. Why not?? Ok, only three.. I couldn’t decide on the fourth, so instead of it holding up the works I figured I had better get on with the others. My favourite is the fox, he is just so cute! The same techniques were used on these cushions. I have restricted the pallette, otherwise it could have gone overboard very quickly. These colours are bright and cute, without being brash. The back is a sturdy dark blue denim with an envelope closure, topstitching in a loverly orange. The size is 30x30cm, a really nice size for a child’s bed. I have grand plans for these designs, I have roped daughter no 1 in – I want her to paint these for me so I can do framed prints etc. So what do you think?? Author Anne WPosted on 27/10/2011 29/10/2011 Categories designTags animals, cushions, embroidery, national trust, the arterLeave a comment on It’s not just clothes geting made around here!